At a recent roundtable discussion comprising marketing professionals from a range of industries (including hospitality, music and banking), we investigated the challenges faced regarding social media marketing. We asked marketing professionals what their single biggest problem was when it comes to marketing their brand on social media. We expected responses such as “understanding algorithms” or “measuring return on investment”. Instead, the leading answer was (surprisingly): getting approval for a social media budget. 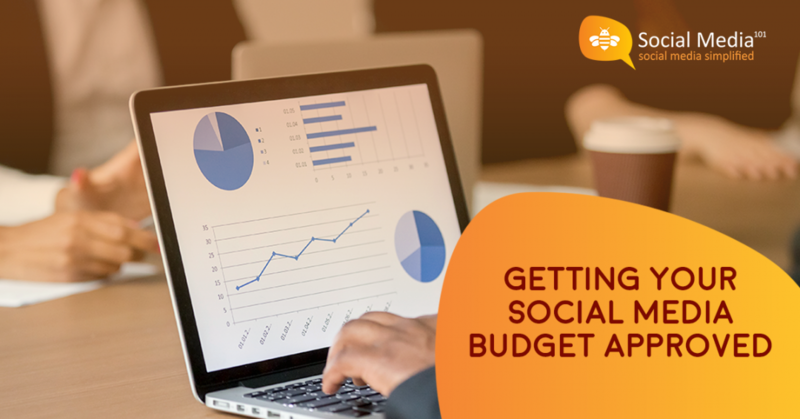 Some marketing managers had difficulty getting sufficient funds allocated towards social media activities, while others struggled to get a budget at all. 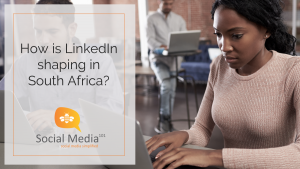 Most of the marketers surveyed attributed this problem to their organisation’s decision-makers’ lack of understanding regarding the business value offered by social media. The rest simply didn’t know where to start in terms of approaching their business’s CEO/Director/Owner/Financial Manager about investing in social media. Based on the insight provided by this focus group, we have put together some tips to help marketers when it comes to getting your social media budget approved. Take an integrated approach: Instead of approaching social media as a separate marketing component, integrate it with your overall marketing plan. Social media has the capability to support virtually any other marketing activity. For example, driving foot traffic if you have an in-store sale or boosting awareness and ticket sales for an event. It should therefore form an integral part of your marketing mix. Presenting a well-designed marketing plan that includes social media may be more favourably received than a separate social media plan in isolation. Do the research: Social media is able to support your brand’s needs, wants and priorities. Shortlist your company’s business objectives and look at how social media can promote each of these goals. This includes tangible factors such as sales generation, as well as promoting goals such as increasing brand awareness or positive affinity. Both short- and long-term company goals should be taken into account when ascertaining how social media can be used to benefit the business. Rands and Sense: Social media has the potential to provide high return on investment. Again, this is both in terms of bottom-line results as well as factors like brand positioning or customer satisfaction. It is an efficient, cost-effective marketing method. A well-executed social media strategy is one that is highly result-driven. This means that funds allocated towards social media should be viewed as an investment in the business, not as an unnecessary expense. It’s all in the numbers: Most decision-makers are fans of reports and statistics. While traditional marketing does provide some data, social media does not shy away from the numbers and is rich in qualitative and quantitative metrics. Social media platforms are able to provide measurable results, accurate data, comprehensive reports and even information like insight into consumer behaviour and market trends. Emphasise the science behind social media, and how it can improve the business in general – not just marketing tasks. This alone may be the key to winning over the financial gatekeeper. Re-allocate Marketing Budgets: If your company has budget restrictions and simply cannot increase marketing spend, consider re-allocating existing budgets. Analyse the returns you are receiving from your current marketing platforms (e.g. billboards, television and print). Then look at re-allocating some of these funds to social media activities. > It offers custom audience targeting – meaning that there is little to no wastage on unsuitable consumer segments. This makes it a highly targeted and cost-efficient marketing method. > It is versatile and supports different media types (image, video, slideshows etc). You can also provide value-rich content (such as tips, articles, insight) in addition to marketing content. > You can interact directly with your clients as social media supports two-way communication, which is great for improved customer support services. > In today’s digitally rich business environment, it is imperative that brands have a strong social media presence and are active and agile to respond to comments, queries and complaints which assist in reducing risk for the company. The key to getting senior decision-makers to invest in social media lies in demonstrating the business value offered by social media. 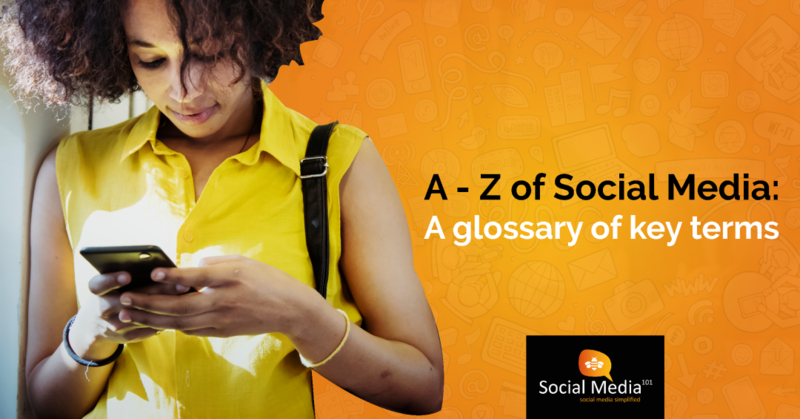 Also, social media is not a passing fad – it is here to stay. Therefore, not being on social media leaves a business at a disadvantage. This is both in terms of competitors, as well as business progression. Social media is no longer a “nice-to-have”, it is a “must have”. We hope that the above points help with the challenge of getting social media investment – both in terms of finances and interest. For additional insight and advice, get in touch with the Social Media 101 team. We can also assist with effective social media strategy planning and execution, as well as platform management. CLICK HERE to contact Social Media 101. The phrase “All social media agencies are not created equal” is not just an accurate statement, but an understatement – given the current state of affairs. This is due to the vast disparity among the many social media service providers in terms of quality level and expertise. But how do you know a great agency when you see one? Well, we at Social Media 101 are here to tell you a bit about ourselves and what makes US a leading social media consultancy. And we sincerely hope that by the end of this, you understand what makes Social Media 101 different, and why we would be a great agency to partner with. We are a social media business consultancy and take a strategic approach to all services. We speak your language – we know that it all comes down to return on investment and positive business impact. Social Media 101 works with you to understand your business, industry, customers and competitors. We then look at what your primary business objectives are, and structure a social media strategy in line with these defined objectives. Our social media activities are result-driven and focus on your business goals: whether its driving sales, increasing brand awareness, boosting desired customer affinity or other objectives based on your needs. We also integrate social media activities with your existing marketing and business endeavours (e.g. by promoting live events or traditional marketing campaigns). At Social Media 101, we pride ourselves on being agile, responsive and adaptable. We take a client-centric approach and craft a social media solution that works best for you. Our service offering is flexible as we understand that a “one size fits all” style just does not work when it comes to social media. We are also available outside of normal business hours and have an open and approachable management structure. This customer-centric approach also applies when we manage your clients on social media i.e., we are responsive and provide excellent customer support that further positions YOUR brand as client-focused. We provide in-depth reports so that you can keep track of our performance as well as your investment returns. These can be customised based on your priority measurables. We also explain what the data means so that you are empowered to drive informed business decision-making. We can supply (or source) services to meet all your needs: from Search Engine Optimisation to animation to live event social media coverage. We also have a network of partners equipped to handle all social media and digital requirements including legal and business advice. This assists not only with service excellence, but risk mitigation and crisis management (should the need arise) as well. Each member of our team is a specialist in their field, as well as in social media. For example, our graphic designers are skilled at creating visual content for social media. Our copywriters know social media best practices for written content for each platform. Our strategists are experienced when it comes to the algorithms and rules that govern the social media sphere. And all of our social media experts have a high level of business acumen that ensures professional execution of tasks. The diverse backgrounds of our team members include experience and qualifications in: Business, Sales, Marketing, Law, Communication Science and Psychology (to name a few). From a social and digital media perspective, our team of specialists include data analysts, media booking specialists and content producers that are able to create high quality material to suit different media needs, including articles, videos, GIFs, animation clips, carousel-type content etc. On the surface, social media platforms appear simple enough to use. However, behind the curtain (or in this case, the screen) are complicated systems driven by complex programs and algorithms. This affects the performance of all social media content – both paid and unpaid. At Social Media 101, we understand the inner workings of the different platforms, and take a scientific approach when planning activities. This includes content, media type, audience targeting and even the timing of uploads. By using best-practice methods, return on investment is maximised based on the strategy behind each message. |Sidebar: Have you noticed that your personal Facebook feed now has more family & friend posts than marketing? This is a practical example of an algorithm change affecting content delivery. Social media platforms, as well as digital technology, are constantly evolving and advancing. Social Media 101 team members continually upskill themselves to keep up with technical changes and market trends. Not only does this help keep your online marketing content relevant, but feeds into your overall marketing and business activities as well. We also invest in tools and partnerships to provide our clients with a superior service offering. These include reporting, tracking and insight applications. We stay in the loop with regard to emerging software and tools that can further boost the level of service we provide. At Social Media 101, we have a proven track record across numerous industries, business types and regions. Since inception, our business has grown threefold year-on-year. Our clients base includes local, global and international brands, and continues to expand. Despite this growth, we take a personal and dedicated approach to every client and strive to exceed expectations always. We believe that this ethos, along with our expertise and experience, makes us a leader in the social media field. Put us to the test – we are confident that you will not be disappointed. If you are looking for a great agency to partner with, or if your current agency simply does not match up, give Social Media 101 a call. We look forward to hearing from you. CLICK HERE to contact Social Media 101. 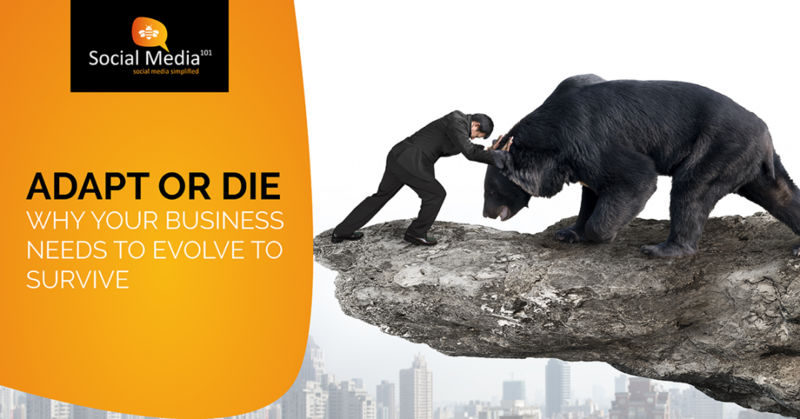 Does your business have what it takes? 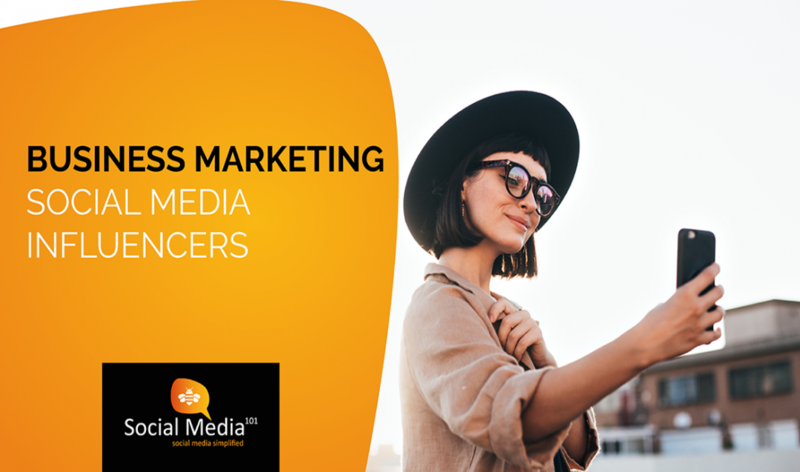 Social media influencers, as the term implies, are entities that have some sort of influence or persuasive power on online audiences. This is achieved through amplifying content via various social media platforms such as Twitter, Instagram, Facebook and LinkedIn. Accounts with large followings are paid to promote brands via their posts on these platforms. While the concept of brand ambassadors or endorsers is not new, what makes social media amplifiers different is that you don’t have to be rich or famous to become one – you just need to have a substantial audience base. However, a big account is not all it takes. Here’s a short crash course on the world of social media amplification. What is Social Media Influence? Social Media influence or amplification takes place when content is shared online within (and across) social media platforms. This includes both paid and unpaid (organic) sharing by stakeholders like your employees, your customers and your online audience. It also includes sharing by influencers such celebrities who may not even use your product or service but are paid to promote your brand online. There are many categories and sub-categories of influencers online, but we will look at the three main types of amplification, namely: Social Media Influencers, Employee Amplification and Customer Amplification. The most well-known type of social media influence is endorsement by celebrities or people who are in the public eye. These include actors, musicians, sports stars, politicians, prominent business people, well-known thought leaders and other public personalities. Notable celebrity influencers include former First Lady Michelle Obama and pop sensation Selena Gomez. But, unlike most traditional brand endorsement, fame alone is not enough to make you a social media influencer. Celebrity or not, you still need a large online audience to your name. Conversely, if you are not well-known but you have a substantial online following, you can earn yourself “celebrity” status on social media purely due to your audience size. Some social media users are even “anonymous” yet get paid to endorse products or services. How is this so? Because it’s all about leveraging off the existing relationship between the influencer and their (sizeable) audience. Micro-influencers are another type of social media advocacy. These are accounts that may not be huge but have a significant following within a certain industry or niche market. For instance, consider a food blogger that has an audience of a few thousand people. While this may not seem much in comparison to the major players, such a person has the potential to make a tangible impact within a given market. For example, by posting about the quality of food and service at a specific restaurant. Employee Amplification (also known as Employee Advocacy) is a powerful yet somewhat untapped form of social media influence. It refers to harnessing the endorsement value and online presence of key employees. It starts with positioning your expert staff members as thought-leaders and trusted advisors within their field. The employees then act as passionate and knowledgeable brand ambassadors through their posts on their personal accounts, positioning the business in a positive light. Not only does this boost desired public sentiment for the brand and the employee, but it also promotes extensive organic (free) audience reach through the employee’s personal audience as users are more likely to share content received via their own network than a business page. In fact, statistics show that company-based messaging reach is 561% higher when shared by employees as opposed to the business itself! (www.falcon.io). Click to read more on Employee Amplification. We all know the importance of customer service, but the growth of social media has now exponentially increased the impact it can have on businesses. Your customers also have the potential to be brand ambassadors and influencers when it comes to your products and services. Brands can make the most of this opportunity by ensuring that positive customer experience is at the core of all business activities. Excellent business offerings, engaging social media content and responsive client-centric service is likely to result in your brand receiving glowing recommendations online. Think about personal experiences – if a business impresses with its quality of service or products, the user is more likely to talk about the experience with friends and family. The same applies to their online community. Only when it comes to social media, its word-of-mouth marketing on steroids. Not only is it great for promoting positive brand affinity, it also acts as free advertising through authentic client endorsement. Creating great customer experience at all touchpoints (through advertising, in-store and especially social media activities) can promote loyalty and affinity for the brand. This then drives customer endorsement online. 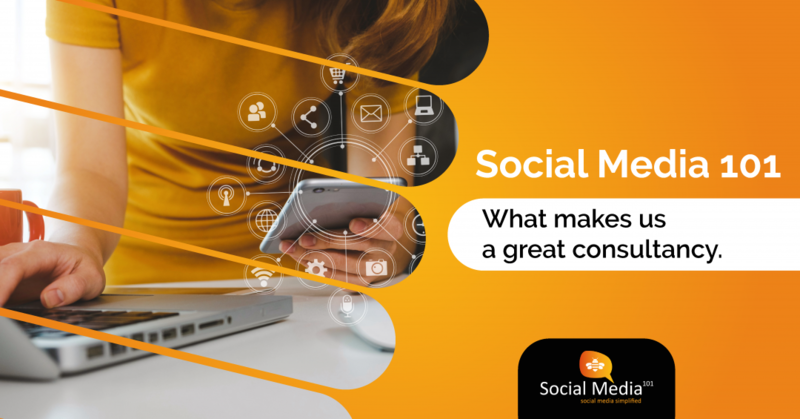 Social media posts should be highly customer-centric and hold some sort of value for the user, such as informative, intriguing, attractive and high-quality content. This promotes customer engagement and sharing of the content – resulting in increased organic reach. Content should also be optimised for each platform as well as for mobile viewing to increase engagement and share potential. Responsiveness and personable communication are crucial elements of good customer service as well. While both Employee Amplification and Customer Amplification are driven by the users’ loyalty and passion for the brand, a little incentive doesn’t hurt. Employees can be incentivised (financially or otherwise) to publish posts about the business on their personal networks. Customers can also be encouraged to engage and share through polls, giveaways and rewards (such as accessing online resources). Choose the type of influencer based on their strengths and how well it meets your objectives. For example, social media advocates like celebrities have extensive reach as well as influence over their audience. Micro-influencers can be highly valuable due to their niche (and usually highly-engaged) audience. Employee advocacy is an excellent way to position the brand and its employees as industry thought-leaders. And your customers can act as (unpaid) brand ambassadors that promote your business through their genuine love for the products and service you offer. When using the services of an influencer, you need to partner with people that are credible and genuinely resonate with your brand. You also need to do thorough due diligence to ensure that their audience consists of real, engaging human beings (as opposed to a bought audiences or bots). You are, after all, paying them based on the number of people a post from them is estimated to reach. Also, it’s not as simple as just telling the influencer the product or service to pitch – you need to craft the actual post content in terms of your objective or, at the least, review and approve content prior to publishing. The digital community is a discerning bunch, so make sure your content has a level of authenticity. It’s also imperative that the influencer does not post messaging from competitors or publish contradictory posts (for example, tweeting about how amazing your restaurant’s steak is, and then the very next day mentioning her vegan lifestyle). Brands can send their employees on courses such as Personal Branding and Employee Amplification training to aid in positioning staff and executives as thought-leaders. Business decision-makers can also be equipped with knowledge regarding online risk mitigation and understanding social media data metrics – both of which are valuable when it comes to social media amplification. Beyond training, there are software systems that can be implemented to assist employees with resources, such as pre-approved content, from the company they work for. This improves efficacy of the content and cuts down on time taken to create content. While there are pros and cons to social media influencers, the one thing that’s undeniable is the sheer impact it has on the business and consumer landscapes. And whether you “like” it or “unlike” it, it is certainly here to stay 😊. Social Media 101 assists businesses in driving online influence, whether that be improving customer sentiment or sourcing, vetting and managing macro and micro influencers. We also offer training for: employee amplification, creating content and implementing software tools for an employee advocacy programme. Get in touch if your business needs influence and amplification. CLICK HERE to contact Social Media 101.